It was such a relief when, over the weekend, we could get away from the ever-mounting electioneering hysteria to sit back and enjoy the big, round, explosive, rich-bluesy voice of Destiny Chukunyere. Finally here was something the whole of Malta could cheer about, especially after the rather lacklustre performance in this year’s Eurovision Song Contest (I bet you forgot that one already). But, being the grand ol’ pessimist that I am, I immediately began to worry. There is no doubt that what we have here is a young but very talented singer. And as she got up to belt that Aretha Franklin song Think, I could already see the dollar signs in Simon Cowell’s eyes. As he told the other judges “[We] have been waiting for someone to come out who we think could be a star, and guess who it is." And that got me thinking, or rather worrying. The thing is when it comes to young talent, there are two ways that things can go. Malta’s Destiny can either find a manager who will happily exploit her natural talents for a very quick buck. She will make some money, but her manager will make more. That manager will take advantage of her age and, dare one say it, her naïveté. He or she will play on the fact that this young girl has such a big voice, give her a bunch of songs to cover (we Maltese are great at following where others lead) and exploit it for the gimmick value and then pack up and disappear. When it comes to young talent, there are two ways that things can go. Or Malta’s Destiny can find a manager who thinks long term, nurtures her qualities over the next five or more years, bringing out what I have no doubt is an even more exciting talent. 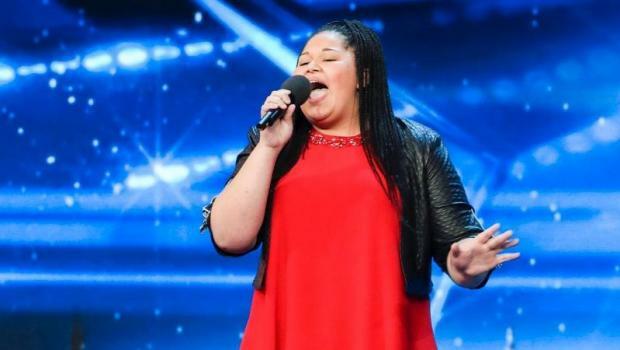 She will be allowed to find her own unique voice and personality and instead of being the girl who does great cover versions of Aretha Franklin, she will find her place as a unique exciting singer recognised worldwide for who she is. If she takes the latter route there will be no quick fix. There will, however, be time to patiently nurture and grow what is a very fine talent. If Malta’s Destiny goes the other route, I am worried she will burn out fast, and be replaced by the next four-week wonder. I think Malta’s Destiny deserves better, much better.